Spring has arrived in Slovenia. All the flowers are blooming, it is warming up and everything is becoming green and beautiful! Activity is also heating up at Paul Penders distribution company in Ljubljana, Slovenia. 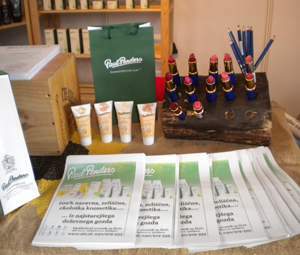 Recently, they attended a trade fair called Altermed (about natural lifestyle) presenting Paul Penders products from their own stand. Paul Penders products are also being advertised in a national health magazine. It does not stop here, because there is also an advertisement being prepared for a TV-show called “The Four Paws” – a program all about animals. In the ad, it will be stressed that Paul Penders cosmetic products are vegan and, of course, never has been tested on animals. Finally, a new web page is being designed right now. 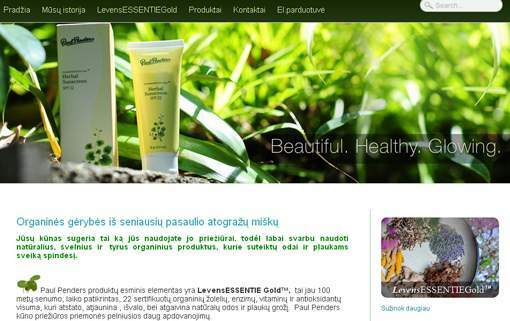 A page only about Paul Penders products, and it will be available both in Slovenian and English. Spring has surely arrived in Slovenia. We hurry up to congratulate our professional distribution company in Latvia with their brand new Paul Penders website design. With a new and fresh look, as well as completely new pictures of our model, Katja Penders, the website presents our products in a fresh, stylish and very attractive way. Since they are representing The Baltic’s (Estonia, Latvia and Lithuania), it is of course possible to change between all three languages (and Russian) by clicking on a flag in the upper right corner. They are the first of many Paul Penders distributors to adapt to our new corporate image on the web. Later, all Paul Penders distributors will have a similar company style website in their respective languages. Next in line is Australia (it is nearly ready), and then The Netherlands are expected to follow. The website design is developed by our web partners, Redbox Studio . If you have ever tried the complicated process to develop a project with a huge IT-company, you will for sure appreciate the practical, logical and personal approach you get from Krista and Nic, the couple behind Redbox Studio. Thanks, Krista and Nic. We really appreciate what you have done! We have received a mail from The American Botanical Council “Focus on Tropical Botanicals – A Photo Workshop with Steven Foster, 12 – 18 May 2010”. 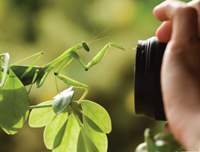 The American Botanical Council (ABC) presents a photo workshop with acclaimed botanical photographer and herbalist Steven Foster, at Finca Luna Nueva Lodge in Costa Rica from May 12-18, 2010. Spend six nights at the beautiful facilities at Finca Luna Nueva Lodge, an ecolodge and Certified Biodynamic herb farm in the heart of the Costa Rican rainforest, located, just ten miles from one of the world’s most active volcanoes, the Arenal Volcano. Plants provide more than simple visual aesthetics. Photography offers an excellent medium to begin to explore simple beauty and gaining a deeper understanding of how to relate to plants. In case you wonder about the price, it is $1,250 – with departure from San Jose International Airport in USA, and free meals are included. Many congratulations from all of us at Paul Penders Co to our senior accountant Jarina and her husband Jasni. They have just added this wonderful baby-boy, Junidi, to the family. 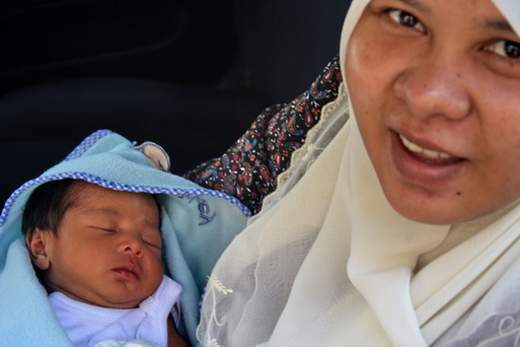 We wish Jarina and family a happy and bright future. Our kidney’s function is to filter the blood by removing salt, poison and other unwanted substances in our body. The older we get, the more salts and other debris accumulate in the kidneys, and a cleansing treatment would be a very healthy task to perform. But how do we do this on our own? It is very easy! First, take a bunch of parsley and wash it clean. Then cut it into small pieces and put it in a pot. Pour clean water onto the parsley and boil it for ten minutes. Let it cool down, then filter it, and finally pour in a clean bottle and store it in your refrigerator. Drink a daily glass of this parsley drink, and salts and other accumulated, unwanted residues will leave your body when urinating. 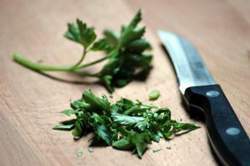 Parsley is known as one of nature’s best cleansers for kidneys – it is all natural and it is cheap as well. Last, but not least, clean kidneys result in more healthy looking skin as well.